Key issues central to teacher education are, on the one hand, the range of competences that learners need to develop and, on the other, the role that teachers can play in supporting their development. The focus on enhancing and expanding language teacher competences in response to learners’ needs and to our complex and ever-changing society lies at the heart of ECML activities. The various methods and techniques that language teachers can use to support learning processes have, for centuries, been a central topic of discussion. With the advent of communicative language teaching in the 1970s the focus of methodologists was strongly directed towards classroom methods and procedures which would most effectively support the acquisition of language skills. With advances in technology, there has been an increasing emphasis on how ICT tools can enhance classroom methods used by teachers. In recent years, however, there has been a growing trend in teacher education to see the teaching process not only in terms of a set of methods and techniques, but from the perspective of the teachers who employ these methods and thus to explore in wider terms the competences that teachers need to develop in order to support language learning. These competences may relate to a variety of professional areas: knowledge, skills, values etc. They are in essence of a didactic nature, but will also include intercultural, social and language competences. 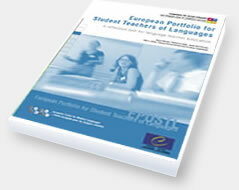 The ECML publication European Portfolio for Student Teachers of Languages (EPOSTL) contains a list of key competences that language teachers need to acquire. The action-oriented, competence-based view of teaching exemplified in the EPOSTL strongly reflects the view of language and language learning, which underlies both the Common European Framework of Reference and the European Language Portfolio . The central questions posed by taking a competence orientation is: what do language users/learners/teachers need to be able to do in order to optimise language use/learning/teaching? A competence orientation to teacher education has brought with it a variety of frameworks which may, on the one hand, provide taxonomies of teacher competences and, on the other, a means of evaluating the quality of language teaching in a systematic fashion. Whilst the competences required by teachers to develop their learners’ foreign language skills remain a central issue, this perspective has been accompanied by a re-examination of the aims of language learning and, in consequence, the role of teachers, occasioned by questions such as: what does it mean to be a language teacher in today’s Europe? What contribution can language teachers make to the development of intercultural dialogue? This has led to a broadening of the specification of language competences to include areas such as intercultural competences. At the same time, an increasing focus on how societal changes have impacted on contexts in which languages are taught and the linguistically and culturally diverse classrooms that are a feature of many schools has led researchers to locate foreign language teaching within the spectrum of other aspects of language learning and to embed it within the broader spectrum of language learning as a whole. Seeing language as transversal skills, key to the learning of all subjects, there is a growing awareness of the need to develop competences in subject teachers so that they too are equipped to provide maximum support for the linguistic development of their learners. This will include Content and Language Integrated (CLIL) classes, teaching the majority language as a second language etc. The past decades have seen an increase in both the number and types of learner who learn foreign languages, which has been accompanied by an increased focus on the needs of specific groups of learners and, in consequence, the specific competences required by their teachers. A general trend to introduce additional languages in early primary or even in pre-school brings with it a range of related competences for teachers. Need-specific groups include learners who learn a foreign language by means of sign language. Teacher competences relate not only to supporting language learning through teaching but also to evaluating the progress and proficiency of learners. In the wake of the publication of the CEFR in 2001 teacher education gave an increasing focus on the competences required by teachers to assess the progress and proficiency of their learners. Clearly, the question of teacher competences is closely connected with, and must be seen as complementary to, learner competences. This complementarity can be seen by comparing descriptors from the CEFR, relating to learner competences, with those from the EPOSTL, relating to teacher competences. The CEFR descriptor states what learners need to be able to do with language, whereas the EPOSTL descriptor states what teachers need to be able to do to support the development this language competence. Learner competences relate to two general areas: a) what the learner is able to do with language, comprehensively described in the CEFR, which may be recorded by means of ‘I can’ descriptors, and b) how learners acquire these competences. In recent years teacher educators and researchers have increasingly taken a learner-centred perspective to language education and have focused their attention on the second area: how learning processes can be optimised both by learners themselves and by their teachers. While it remains a central task of teachers to foster foreign language skill development by means of appropriate methodology, they also need to play an active role in helping learners to make use of appropriate learning strategies and become more autonomous; that is to say, to support life-long learning. An important resource for evaluating and developing learner competences are the various versions of the European Language Portfolio, which provides a means for language learners to record their language learning achievements and to reflect on their experience of learning and using languages. It is thus concerned with both the ‘what’ and ‘how’ aspects of learner competences. Some of the ECML’s most influential project outputs are concerned with the content and practice of teacher education, and these are playing a key role in pre-service education and in-service professional development in many countries. A training guide for quality assurance in language learning. The QualiTraining guide gives an overview on the topic and helps users to raise awareness for quality culture in general. It also shows how to look at different aspects of quality culture in an institution. It includes a CD-ROM with extra material. The European Portfolio for Student Teachers of Languages (EPOSTL) is a tool for reflection and self-assessment and provides a taxonomy of the didactic knowledge and skills necessary to teach languages. It is available in 15 languages . The accompanying book entitled Using the European Portfolio for Student Teachers of Languages presents examples, discussions and research findings of how the EPOSTL is used in initial teacher education courses, in bi-lateral teacher-education programmes and in teaching practice. The European portfolio for pre-primary educators (PEPELINO) is designed for educators and teachers in the pre-primary sector, either in initial or in-service education. It encourages personal reflection on the professional skills related to the linguistic and intercultural dimension of working with children. ECML projects have focused on two main areas: on the one hand, those which provide resources to support the use of the European Language Portfolio and, on the other, projects related to learner autonomy and learning strategies. As far as the ELP is concerned, the ECML hosts a dedicated website for the ELP to promote the pedagogical benefits of this instrument and to facilitate its use in practice. The various ELP-related projects of the ECML are listed here. From 18-19 January 2018 the ECML held a Think Tank entitled Language Learning Pathways. Information is available here. Discussions and projects dealt with in this Thematic Area relate to teacher competences in general; however, the theme of both teachers’ and learners’ is at the core of all other areas. Users are invited to continue their exploration of this theme in areas most relevant to their needs. The "Proposal for a Council Recommendation on a comprehensive approach to the teaching and learning of languages" and its Annex about "Language Awareness in Schools – developing comprehensive approaches to language learning" are available in all official EU languages in the EurLex database. For further information and to register your application please visit the conference website by 26 March 2018.